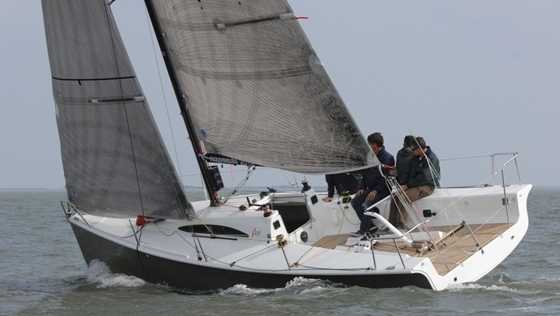 The Melges group and the Reichel/Pugh team have come out with a 30-foot version of the 24. For local fleets this boat may be even harder to deal with than the 24. 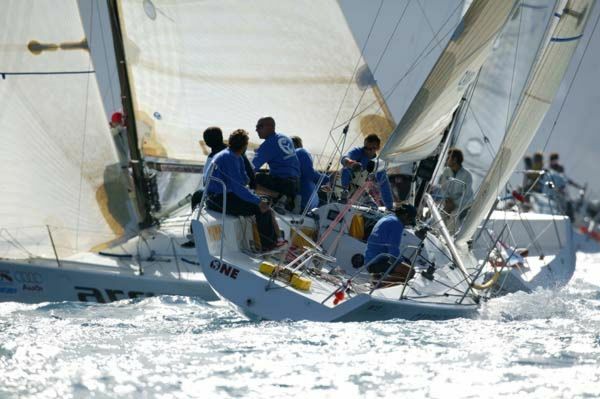 You could always excuse the 24 as it blew by you with, "It's just a big dinghy." 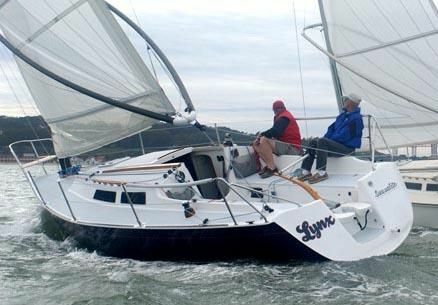 But this 30-footer, with its engine and the addition of lifelines and pulpits, almost looks like a normal boat and will give PHRF raters a fit. Actually, it's in a class of its own. I can think of no other boat that is designed with this particular balance of parameters. In a nutshell, this design appears aimed at providing the fastest monohull ride around without the fear of capsizing. With a D/L of 75.39 and a ballast-to-displacement ratio of 50 percent, the 30 has impressive numbers. All of the ballast is located in a bulb at the end of a deep and thin keel fin. There is minimal bow overhang and just enough stern overhang to prevent dragging the transom in the light stuff. The drawings I have indicate that the rudder was moved from the original outboard position to the present inboard location. Blade size and profile remain almost identical. Note how far aft the keel is. 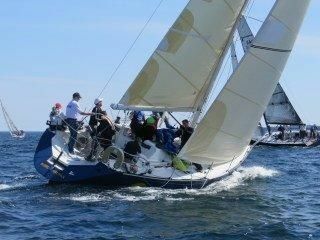 I assume the 30 will use the same kelp cutter device that is used on the 24 to keep the leading edge of the keel free. The L/B is 3.05 but the BWL is probably narrow like that of the 24. The appendages, if like those of the 24, will be very narrow and beautifully tooled. 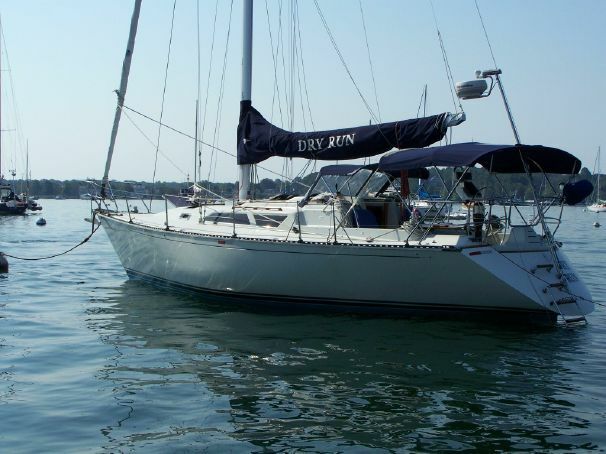 The key to this sailplan is horsepower — and lots of it. The SA/D is 35.88. The ballast bulb and crew on the rail will give the 30 the power to carry the rig, and the general hull form will give it the handling characteristics to keep it controllable. The pivoting bowsprit is 12 feet 8 inches long, and when you add this to J you get an SPL (spinnaker pole length) of almost 19 feet. This allows an asymmetrical masthead chute of awesome proportions to be carried, and it requires only resheeting in the chute when you gybe and then adjusting the pole's pivot angle. With what appears to be less than 5 feet of headroom, the layout is effective only in a token manner. 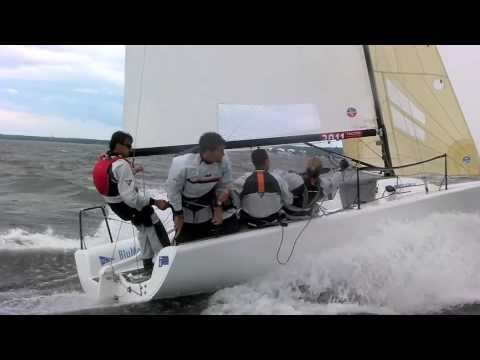 I don't think the Melges 30 will threaten the family racer-cruiser market for a while. It will, however, threaten some other groups, notably owners of 40-footers. 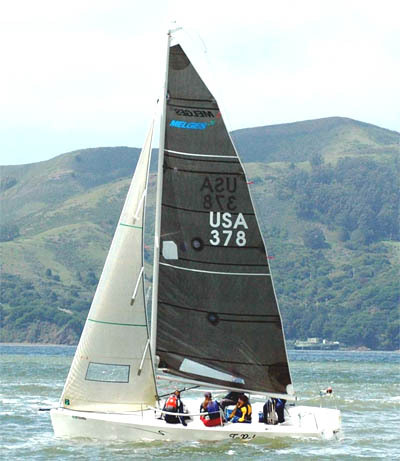 The Melges 24 can blow the doors off most 30-footers, and the 30 looks to me to be the hottest ride in town. 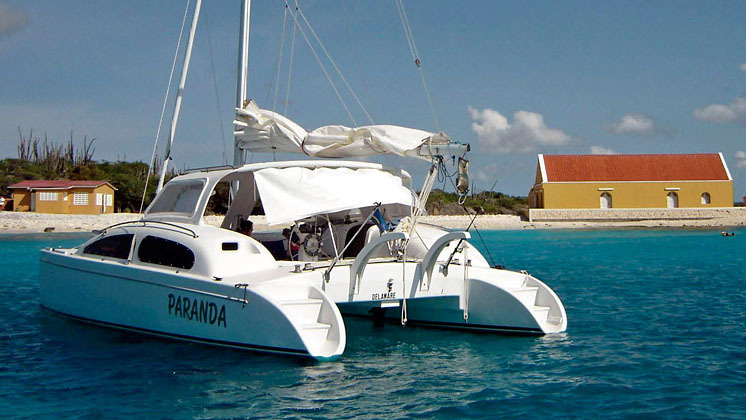 A far-from-normal boat that will flex its sail power.